My last post did prompt a number of responses directed to my email account, as I had requested. We have in our movement of churches (the ICOC) sort of an official “Diversity Group.” Most of them took the time to respond to my article, and all were very encouraged by it, agreeing with the content as stated. All of their responses were heart-felt and very encouraging to me. I have never claimed to be an expert in this field, but do claim to be seriously invested in it as a learner and intended people helper. One brother in the group wrote (in bold font) that what I have been writing comes across as really understanding his world. This is what he claimed to have heard me saying: “I get you; I hear you; I see you; and I believe you!” Those comments so warmed my heart, because I am trying hard to communicate exactly those sentiments to my brothers and sisters of color. I also heard from a number of others, two of which I asked for permission to include slightly edited excerpts from what they wrote. Both of these were females, sisters in Christ, one white and one black. What they said struck home in my heart, and I wanted to share their hearts with you in this blog. I have removed some things that would easily identify them, for their identity is not important for our purposes here, but only their message. As is the case with each of us as individuals, we all have unique experiences and unique perspectives as a result. I’m sure that their words will resound in the minds and hearts of many others, and thus they are representative of those others. They do not attempt to speak for others, and yet I believe that they do. One of these responses is found below and the other will be included in the next blog post. Please read carefully with open hearts. Gordon, I am so grateful for you! I just cried when I read this latest blog. Thank you so much for your courage to educate. I have believed what you wrote about for years now. 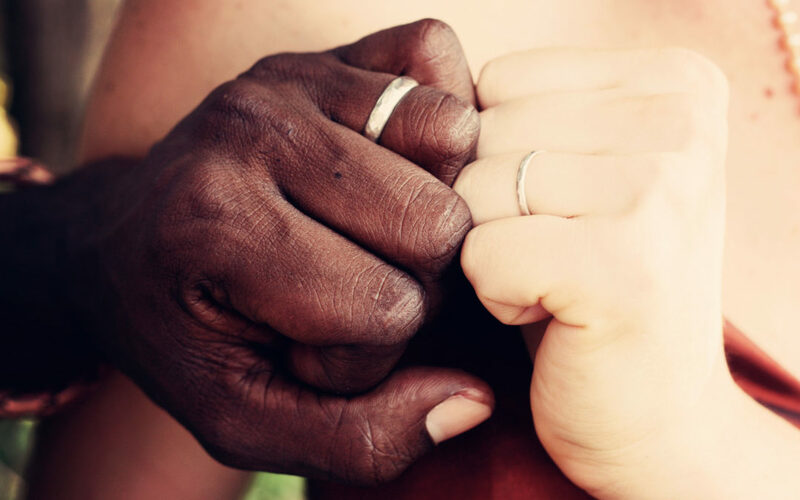 I have been a disciple for almost 30 years and am a white women with a black husband. I grew up in a city in the South and knew of racism, which still exists there today. I have always been a disciple who loves holding to what God says and will always seek truth. I have always loved your teaching because of your desire to speak truth even if it ruffled feathers. But that is what Jesus did and I love that boldness and courage. I feel hurt though because the leaders of our church are hesitant to talk about these issues. It has been uncomfortable at times for me when trying to express some of these ideas to others who had nationalistic views, which included disciples in the church. It has been very uncomfortable for them to hear or have dialogue about this subject. You are almost viewed as a hater of your nation or that you must bow down to the flag of our nation. I have almost felt like it was a man-made god that I refused to bow down to. I have been doing what you encouraged by trying to start dialogue and I hope it will make a difference. I read that paper on White Fragility and it enlightened me in understanding why so many people have issues with talking about race and it also helped me to reflect on my own perceptions. I share your posts on Facebook. Nationalism is very prominent in our church. I have said on several occasions that our nation is not a “Christian Nation” as defined by God’s Word. Materialism and this Nationalism go hand in hand. I believe God is exposing what the USA mentality really is. He always exposes sin. He hates materialism and greed, which are false idols. It is so deep within the American fibers. It will have to be washed out through the Holy Spirit in the church so that we can show the world the truth. God is using you to start the process and I am so encouraged by you! Out of the heart the mouth speaks and I see your heart! May God strengthen you for your task.